I am a big fan of Crowded House and Split Enz. I really like the Finn Brothers too. Neil Finn, as a songwriter, is a master craftsman - with melodies, harmonies and lyrics. He has been for three (+) decades. Neil Finn, as a solo recording artist, never hits all the marks like he does in a group effort - even if in those bands he does the heavy lifting. Granted, I was not totally enamoured of the last Crowded House cd, Intriguer. It was fine and everything, but I always come to expect more than 'fine' when Finn's name is attached to a project. Even the disk before that, Time on Earth, didn't hit me right away. But it grew on me and I do like it an awful lot. But I never overplayed any of Finn's true solo work, and it never stuck with me except for a few songs. So I wasn't really surprised when Finn released a new disk, Dizzy Heights, and I was totally unaware of its existence. Not that he's ever getting massive press coverage over here in the States. 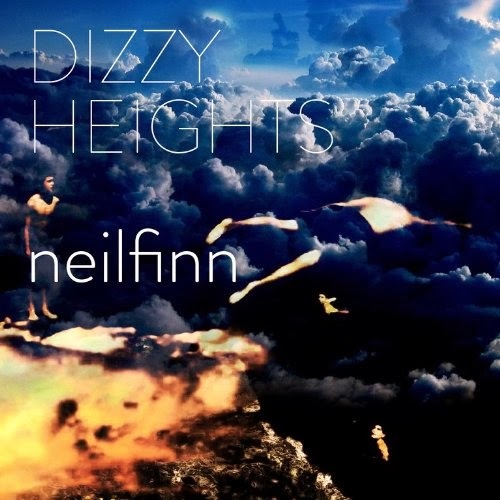 Dizzy Heights certainly isn't a bad album, but it isn't bound for classic status either. Part of the blame might lie Finn himself, or possibly producer Dave Fridmann. Some reviews have made mention of Finn's higher register and to be fair to them, it is distracting at best ("Divebomber", "Recluse"). "Flying in the Face of Love" sounds like it was a track recorded for Time on Earth (which isn't a bad thing, just sounds way too familiar). I am loving "Strangest Friends" - but right now that's the only track I truly love. Others are certainly passable ("Dizzy Heights", "Flying in the Face of Love", "Better Than TV"), but with Finn, I want and expect better than passable. And perhaps it is Fridmann, but there is a little experimentation with style going on here, but little of works ("In My Blood", "Impressions", "Divebomber", "White Lies and Alibis"). "Lights of New York" makes it sound like he was trying way too hard for a closing track. I get that artists must change and grow, but Dizzy Heights isn't really working for me. I'd say it might grow on me like Time on Earth, but it might be more of a dust collector like Intriguer.